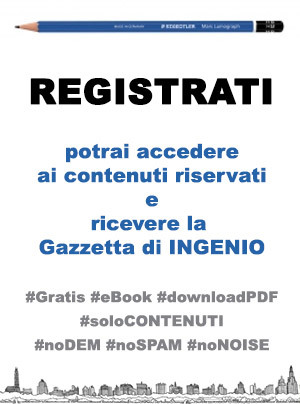 Abstract: Negli ultimi decenni l‟evoluzione del settore delle costruzioni in direzione di una maggiore sostenibilità ha orientato la ricerca scientifica sul calcestruzzo strutturale verso l‟individuazione di soluzioni alternative di rinforzo, che prevedono la sostituzione dell‟acciaio per le barre di armatura con materiali di nuova concezione o naturali, impiegati secondo un uso innovativo. Tra questi ultimi molto interesse ha destato il bambù per le sue caratteristiche fisiche e le sue prestazioni di tipo meccanico. L‟applicazione del bambù come materiale di armatura del calcestruzzo strutturale si propone come una valida alternativa all‟impiego di un prodotto industriale come l‟acciaio, soprattutto nei paesi in via di sviluppo, in quanto rinnovabile e sostenibile sia da un punto di vista economico che sociale. Il contributo ha l‟obiettivo di delineare lo stato dell‟arte della ricerca sul bamboo rein-forced concrete e di illustrare le caratteristiche prestazionali di questo materiale composito, sottolineandone le possibili linee di svi-luppo future. Nowadays the two main criteria on which design and construction of civil structures must be founded are certainly sustainability and cheapness. It is essential to look for new constructive solutions which can limit energy waste, can reduce manufacturing costs and can ensure an environmental friendly built envi-ronment. In order to respond effectively to this need, the construction industry must focus on innovation and technology by directing scientific research to the sustainable renewal of traditional building materials, in particular of reinforced concrete. Concrete is, after water, the most used material on the planet, with a world consumption estimated be-tween 21 and 31 billion tons annually. During the entire life of concrete structures, 90% of the total en-ergy is used in the production process of materials and in particular of clinker, which is primarily responsible for emissions of air pollutants, while only 10% is used for the production of commissioning and transportation. The production of CO2 goes hand in hand: it is estimated that the emissions produced during the processing phase amount to 700-1000 kg of CO2 per ton of clinker. The quantitative assessment of the environmental impact can also be performed on concrete structures using standardized methods, such as the Life Cycle Assessment (LCA), whose task is the impact evalua-tion of a concrete structure during its life cycle, from pre-production (including extraction and production of raw materials) to final decommission (Fantilli & Chiaia 2013). In order to create a concrete structure with a fa-vorable LCA, two strategies can be implemented: the „performance strategy‟, aimed at increasing the mechanical performance of concrete by limiting the quantity of raw materials used and the „substitution strategy‟, focused more on the replacement of one or more components of reinforced concrete or of rein-forcements (Habert & Roussel 2009). Both strategies have the common purpose of safeguarding natural capital, limiting the use of ma-terials with a high environmental impact in the prep-aration of both cement paste and, subsequently, of the conglomerate. The „performance strategy‟ suggests a quantita-tive approach to the problem: to reduce the percent-age of cement used for the construction of a struc-ture, without altering the compressive strength of the cement mixture, strictly dependent on its mix design. This approach aims to increase the performance standards of concrete, favoring the use of high-strength concrete. High-strength concretes have a high environmental impact, as they require greater quantities of cement per volume unit of structural el-ements, but due to the greater resistance, both the fi-nal volume of the structure and the total amount of cement used, are lower than those of a concrete with ordinary resistance. The „substitution strategy‟ consists in replacing some components of reinforced concrete with alter-native or recycling materials. With this in mind it is possible to operate on three different fronts: modify the cement mixture, change the type of aggregates or replace the steel reinforcement. For example, cement may be replaced with mineral additives having poz-zolanic effect, such as fly ashes or silica fumes, which are by-products of industrial activities. The „substitution strategy‟ may also concern stone aggre-gates of concrete, often substituted with recycled concrete. Nowadays there are many experiments conducted by international scientific research on natural or arti-ficial materials that can replace steel reinforcement. The most successful was certainly obtained from the carbon fiber reinforcements, but the reinforcing bars in „Fiber Reinforced Polymers‟ should also be men-tioned. The replacement of steel reinforcement with a natural material, just as flexible and resistant to trac-tion, is a solution that could bring interesting bene-fits in terms of functionality, economy and even for the environment. The choice of the „new steel‟ is not, however, univocal, as it is conditioned by social, institutional, economic and even cultural factors. In the West, a consolidated building sector and a very restrictive structural regulatory framework make it difficult to access natural materials without certifia-ble performance standards on the market. In the countries of the sub-tropical zone, in which today almost 80% of the world steel produced for the construction sector is consumed, the high costs of the material certainly do not favor the qualitative leap, now necessary, of the local building sector, which can guarantee the safety of the structures. In this geographical area in recent years a growing in-terest in alternative indigenous materials to be used instead of steel as reinforcement of concrete has been observed. A systematic research on the proper-ties of natural fibers and their possible use as con-crete reinforcement has only recently been undertak-en. Products made of Portland cement and natural fibers of coconut, jute, sisal, wood and bamboo have been tested for their properties and their possible us-es in the field of construction in at least forty differ-ent countries. As part of this research, there was a particular interest in bamboo, extremely widespread in housing in developing countries. Comparative environmental and economic ana-lyzes have shown that bamboo can compete with other building materials: more resistant than any vegetable essence, lighter than reinforced concrete and steel, flexible, adaptable, of high aesthetic and eco-sustainable value. Its high tensile performance and its particular light-ness have made bamboo gain success in the field of reticular constructions up to be definitely called as “green steel”. The main solution that is taking hold in the con-struction sector from the perspective of the substitu-tion strategy is the possibility of replacing the con-crete reinforcement in steel bars with a plant reinforcement in bamboo culms. Bamboo is becom-ing more and more established as the „ecological successor‟ of steel: the natural fiber associated with another material, such as concrete, changes its tech-nical characteristics, generating something truly in-novative. 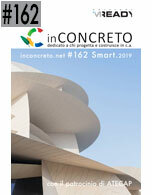 One can speak in all respects of a new composite material: the „bamboo reinforced con-crete‟. Potentialities of this new material are mainly in its low environmental impact and in its low cost packaging which are more convenient than the high costs and the energy waste of steel production. How-ever there are a series of limits of the new material for its lifetime, treatment, stability and adaptability of construction elements of normal use which cannot be ignored. material in undergoing the cut, the unreliability in elements of big size, the high costs of bakelization necessary to avoid the putrescence of the material, but in particular the devastating swellings caused by the absorption of water present in the mixture of ce-ment when the last one is site cast. Recent studies have made it possible to identify the existence of as many as seven arch railway bridges with variable light between 7 and 20 m at Kumamoto and Nagasaki in Japan, built in the 1930s with bamboo reinforcements to compensate for the lack of steel, at that time mainly used for war (Kasami et al 2015). On the other hand overseas the first experimenta-tions on bamboo reinforced concrete structures ap-pear after the Second World War, when the USA and Japan used the new material for the construction of military structures for emergency. Between 1943 and 1944 there is a tangible turning point, when Pro-fessor H.E. Glenn of Clemson Agricultural College in South Carolina completes the realization of three experimental structures using T-shaped beams, pre-cast plates and pillars all with bamboo reinforcing (Glenn 1950). In the following years the aforesaid discoveries are examined in depth by a study carried out in 1964 at U.S. Army Naval Engineer Waterways Experi-ment Station: the researchers try to adjust the limit state check procedure, already used to estimate rein-forced concrete structures, to the features of bamboo reinforcement. The starting task is to estimate the ul-timate load carrying capacity of the precast concrete elements with bamboo reinforcing. Their study pro-ceedes more in detail. Their conclusions on this new material are shown in 1966 by U.S. Naval Civil En-gineering Laboratory in a very relevant document which reports the rigorous results of these investiga-tions on precast concrete elements with bamboo bars (Brink & Rush 1966). For the first time, guidelines are then drawn up to create structural elements made of „bamboo-reinforced concrete‟.